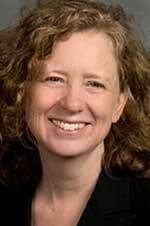 Interim Chancellor Ralph J. Hexter today (Feb. 2) named Elizabeth Spiller as dean of the College of Letters and Science, fulfilling one of the key recommendations from the May 2015 final report of the Work Group on the Reorganization of L&S. Spiller will begin her tenure as dean on March 6. A professor of English, Spiller is currently the dean of the College of Liberal Arts and Human Sciences at Virginia Tech; prior to this, she served as associate dean in the College of Arts and Sciences at Florida State. Susan Kaiser, Alex Navrotsky and Li Zhang, interim deans of the three Letters and Science divisions — Humanities, Arts and Cultural Studies (HaRCS); Mathematical and Physical Sciences (MPS); and Social Sciences (DSS), respectively — previously agreed to continue serving as vice deans through the first months of the transitional period after Dean Spiller’s arrival. “I want to extend my sincere appreciation to Deans Kaiser, Navrotsky and Zhang for their dedicated leadership of the college for the past several years,” Hexter said. Like UC Davis, Virginia Tech is a land-grant institution and a top-30 public research university. Spiller’s college at Virginia Tech has 450 full-time faculty members and an enrollment of more than 4,000 undergraduate primary and secondary majors, and 1,200 graduate students, across 30 undergraduate majors and 37 master’s and doctoral degree programs. UC Davis Letters and Science has 800-plus faculty members who teach the core curriculum for virtually all 28,000 undergraduates in the university as well as mentor thousands of graduate students pursuing more than 50 fields of interest in the college. At Virginia Tech, Spiller oversees 12 academic departments and programs, the university’s three ROTC programs and two independent schools, in disciplines that range from English, history, performing arts, and religion and culture, to sociology, political science, and science and technology in society. Her college is also home to the Alliance for Social, Political, Ethical and Cultural Thought, or ASPECT, an interdisciplinary Ph.D. program. She oversaw curricular revisions in undergraduate degree programs, providing support for departments to create majors and minors in such areas as Multimedia Journalism, National Security, Criminology, and Politics, Philosophy and Economics, with additional programs being developed in Public Health, Social Justice, Creative Technologies in Music, Sports Media and Analytics, and Science and Technology Studies. She created a position in enrollment management and curriculum to help departments and faculty develop new courses and integrative minors in the implementation of the university’s new “Pathways” curriculum in liberal studies. During her time at Virginia Tech, her college achieved a 59 percent increase in applications and a 42 percent increase in incoming freshmen. These were the largest percentage increases at the university and reversed a seven-year decline in enrollment across the college. She established the Destiny Scholars program, using multiyear pledges to create four-year scholarships for underrepresented and underserved student populations, and initiated a rebranding campaign to focus on the distinctive value of the liberal arts and human sciences at Virginia Tech. In budgeting, she provided leadership in transitioning the college from historic, incremental base budgeting to the university’s new Partnership Incentive Based Budget model. At Florida State, she led a committee charged by the provost with creating and implementing a system to provide salary raises to nationally distinguished faculty across the university. More than $1.2 million in annual awards were made to faculty, supporting faculty excellence and enabling the university to successfully compete for $15 million in annual preeminence funding from the state of Florida. Spiller received a Bachelor of Arts in English literature at Amherst College and a Master of Arts and Ph.D. in English and American language and literature at Harvard University. She specializes in early modern literature and culture, with emphasis on the history of reading, and on literature and science. She is the author of two books: Reading and the History of Race in the Renaissance (2011) and Science, Reading and Renaissance Literature: The Art of Making Knowledge, 1580–1670 (2004), both published by Cambridge University Press. In addition, she edited a two-volume collection, Seventeenth-Century English Recipe Books: Cooking, Physic and Chirurgery (2008). She has twice been awarded fellowships from the National Endowment for the Humanities and is the recipient of a Fulbright Fellowship.